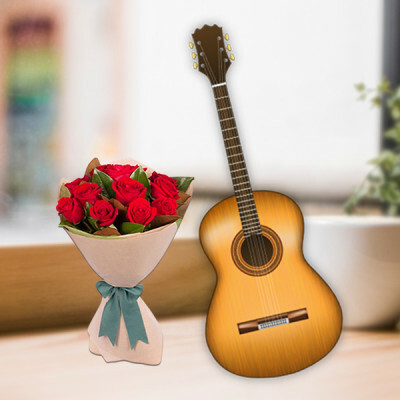 - 12 Red Roses Bunch in brown paper packing along with a live guitar song dedication of your favorite songs. 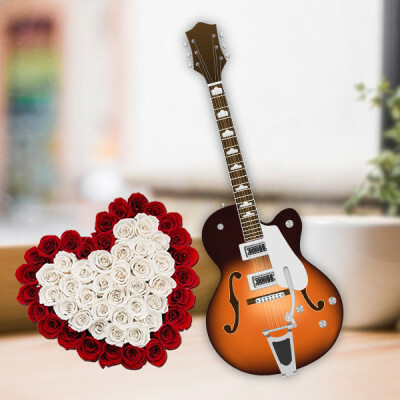 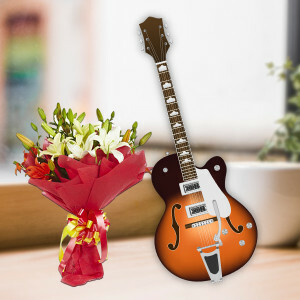 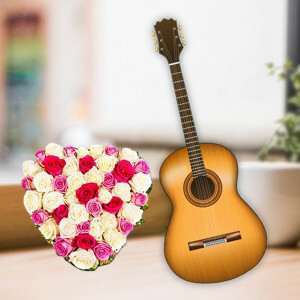 - Heart Shaped Arrangement of 25 White and Red Roses along with a live guitar song dedication of your favorite songs. 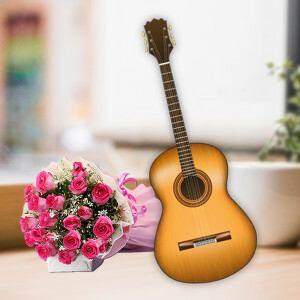 - 20 Pink Roses bunch in pink and white paper packing along with a live guitar song dedication of your favorite songs. 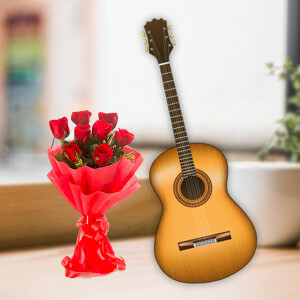 - 15 Red Roses Bunch in red paper packing along with a live guitar song dedication of your favorite songs. - 12 Pink Roses bunch in pink paper packing along with a live guitar song dedication of your favorite songs. 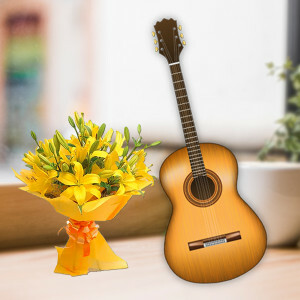 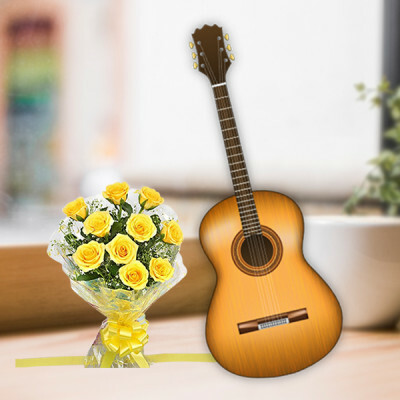 - 12 Yellow Roses bunch along-with a live guitar song dedication of your favorite songs. - 12 Assorted Asiatic Lilies in red paper packing along with a live guitar song dedication of your favorite songs. 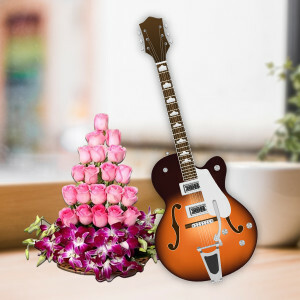 - Arrangements made of 20 fresh hand-picked pink roses and 6 bright purple orchids with green leaves along with a live guitar song dedication of your favorite songs. 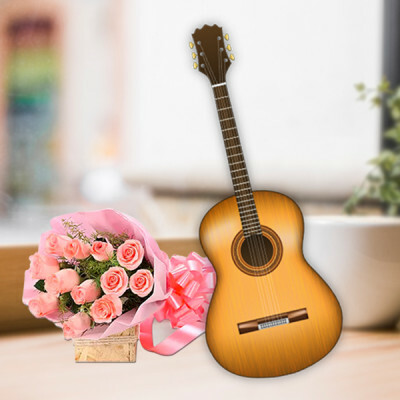 - Heart Shaped Arrangement of 25 White, Pink and Red Roses along with a live guitar song dedication of your favorite songs. 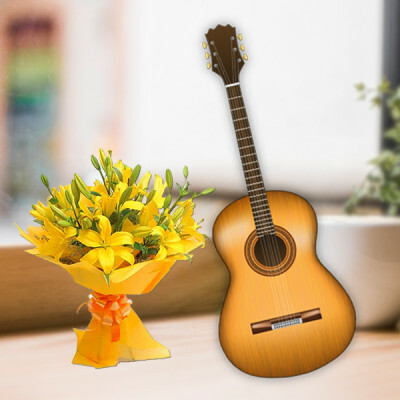 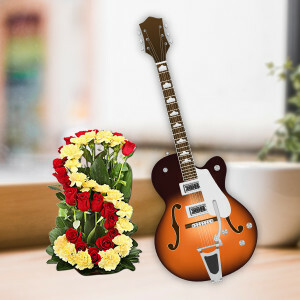 - Alphabet flower arrangements designed with 20 hand-picked red roses and 20 hand-picked yellow roses along with green leaves along with a live guitar song dedication of your favorite songs.